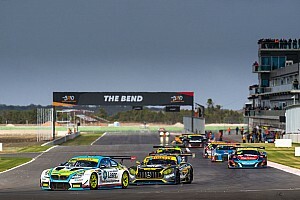 The Confederation of Australian Motor Sport has rescinded a document that effectively banned GT3 and GT4 cars from competing in events outside the Australian GT Championship and the Bathurst 12 Hour. This is probably how a BMW M6 GT3 would look had it competed in Australia in the 1980s. Challenge Bathurst Event Director James O’Brien says he plans to appeal a decision from the Confederation of Australian Motor Sport to not allow GT3 cars to enter. Jaxon Evans and Tim Miles won the first round of the Australian Endurance Championship after an eventful weather-affected race at Phillip Island. Watch Round 1 of the Australian Endurance Championship from Phillip Island live. Dominic Storey and Peter Hackett combined to put the #63 Eggleston Motorsport Mercedes on pole for the opening round of the Australian Endurance Championship at Phillip Island. Supercars co-driver Chris Pither has been given a late call-up to race an Audi at this weekend’s opening round of the Australian Endurance Championship at Phillip Island. A 19-car field has been confirmed for this weekend’s opening round of the Australian Endurance Championship at Phillip Island. John Martin will partner Blancpain title-winning amateur Liam Talbot in the Walkinshaw Porsche for the Australian Endurance Championship. Lamborghini driver Pete Major cruised to victory in today’s second one-hour Australian GT Championship race at Barbagallo Raceway. Walkinshaw Porsche driver Liam Talbot took a controlled win as the third round of the Australian GT Championship kicked off at Barbagall Raceway. 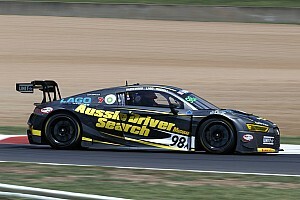 Former Holden Motorsport boss Simon McNamara has joined the Australian GT Championship as the new commercial manager. Liam Talbot stormed to victory in a race-affected fourth Australian GT Championship race at Albert Park. Audi factory driver Kelvin van der Linde was unstoppable as the Pro drivers returned to the Australian GT Championship field at Albert Park for Race 3. Roger Lago took an untroubled win from the second Australian GT Championship race of the weekend at Albert Park. Ash Walsh kicked off the second round of the Australian GT Championship in perfect fashion, beating fellow Audi driver Kelvin van der Linde at Albert Park. 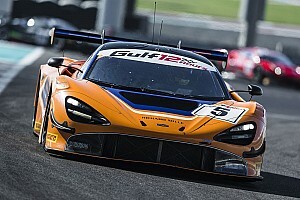 Former Formula 1 driver Ivan Capelli and McLaren young gun Lewis Williamson will both be part of a 30-car field for the second round of the Australian GT Championship at Albert Park. BMW Team SRM will expand to two cars for the rest of the Australian GT season, with Danny Stutterd joining the team in a second BMW M6 GT3. The Australian GT Championship has elected to not use a handicap format for its second round of the 2017 season during the Australian Grand Prix at Albert Park.